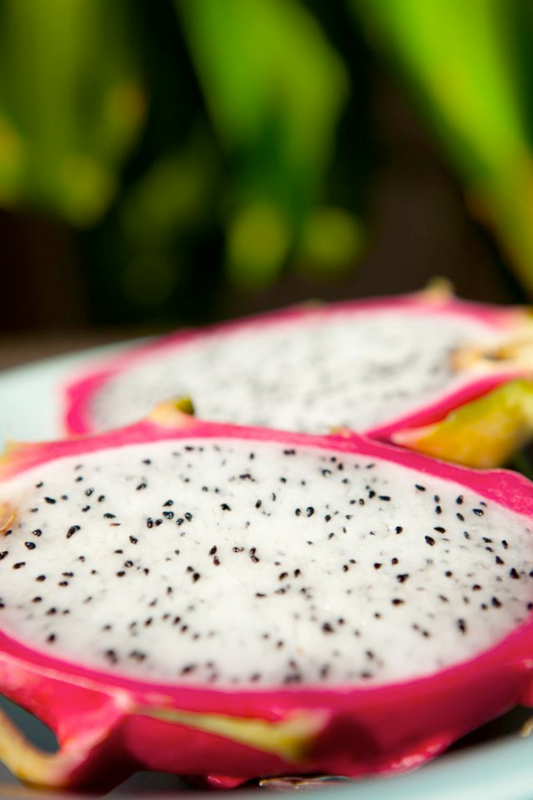 One of the many things we constantly miss from Kauai was the abundance of fresh tropical fruits readily available. 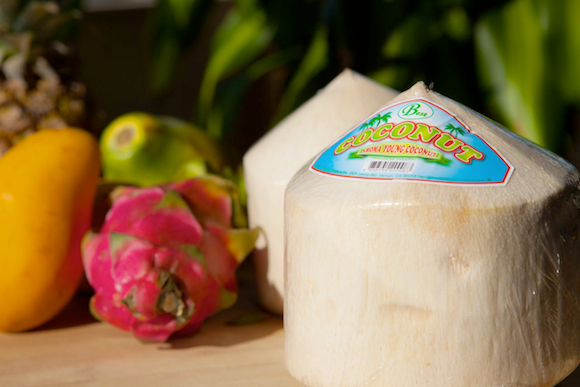 They are far fresher and more succulent that you will ever find here. 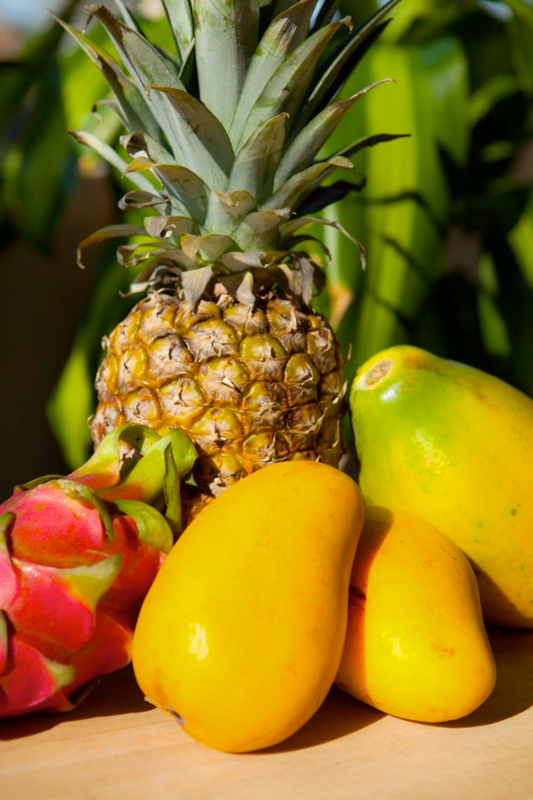 Mangoes, pineapples, and papayas are easily three of our favourite fruits and we simply couldn’t devour enough of them in Kauai. 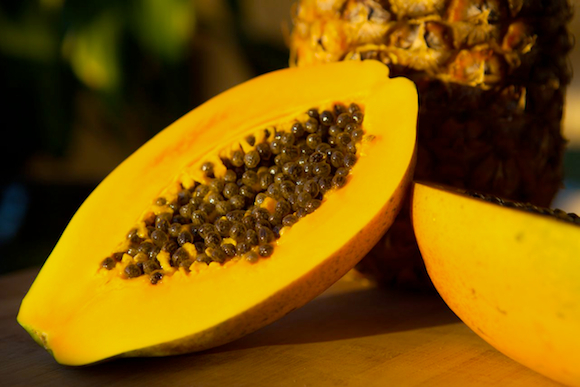 If you’ve never had a Hawaiian papaya, I strongly urge you to try it -- it will change your life. I’m not a fan of the Mexican papayas you find here, but the Hawaiian kinds are so different -- they are insanely sweet and flavourful. If you live in Toronto, you can find them at Pusateri’s. They are a bit pricey but worth every juicy bite. We bought a bunch of tropical fruits over our Kauai weekend, used some to make a smoothie and saved the rest in this fruit salsa. It is super easy to make and was the perfect accompaniment to our Hawaiian dish, which I will be posting the recipe for next week. 1. 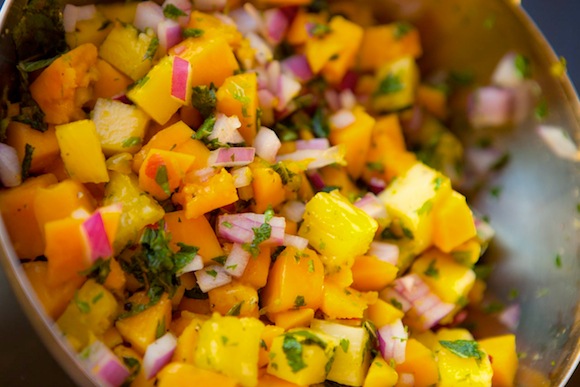 Chop the pineapple, mangoes, and papaya into small cubes. 2. Dice the red onion finely. 3. Roughly chop the cilantro and mint. 4. Place all ingredients in a bowl, squeeze in a lime, add a pinch of salt and pepper, and mix together.